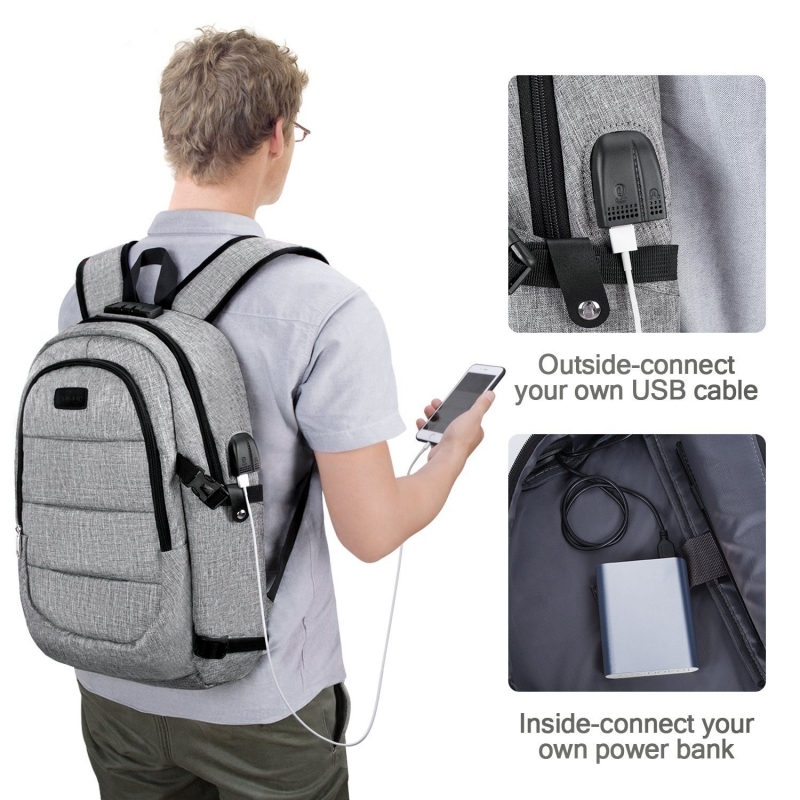 The Ambor Laptop Backpack is one of the versatile backpack on the market. It has a dimension of 19.7x 11.6 x 7.5 inch which can hold up to 18-inches laptop. It is very lightweight, and it is made from durable Eco-Friendly Nylon Fabric with water resistant oxford cloth. 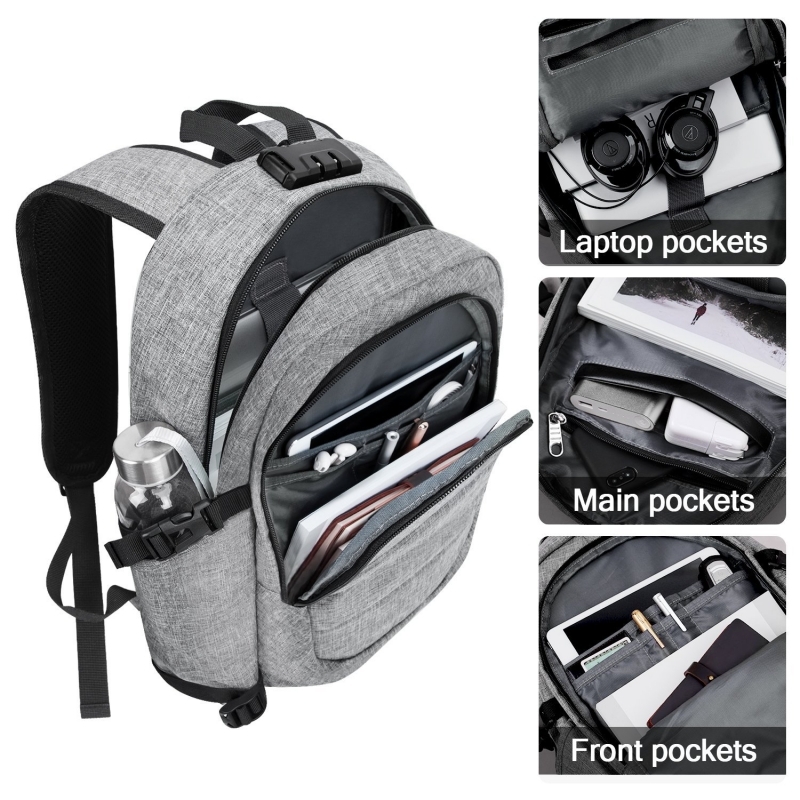 The interior of the backpack is made with Polyester. 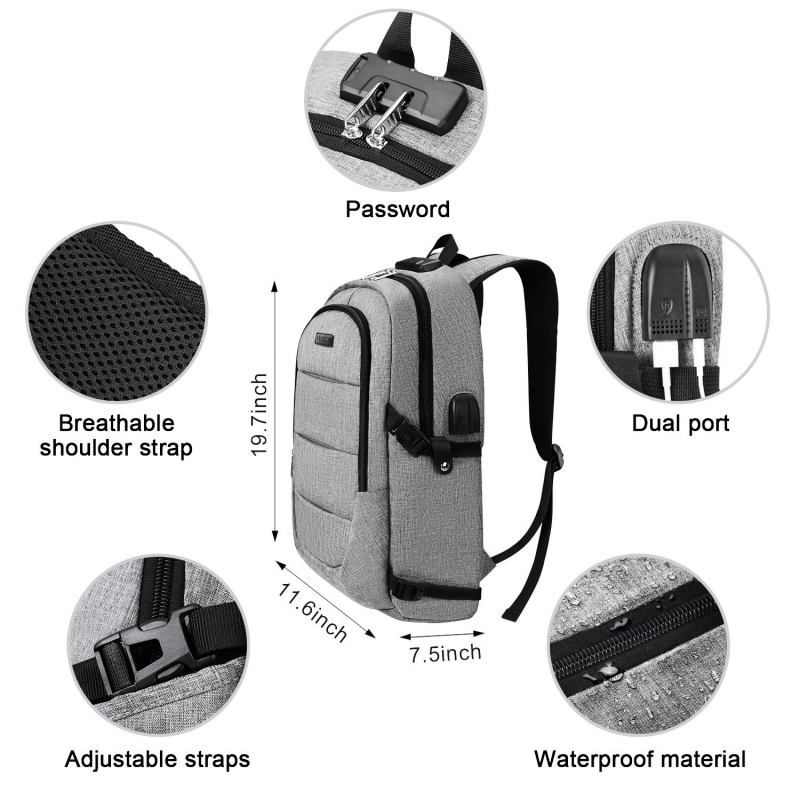 Not all backpack has a combination lock which makes it very difficult to protect you staff. 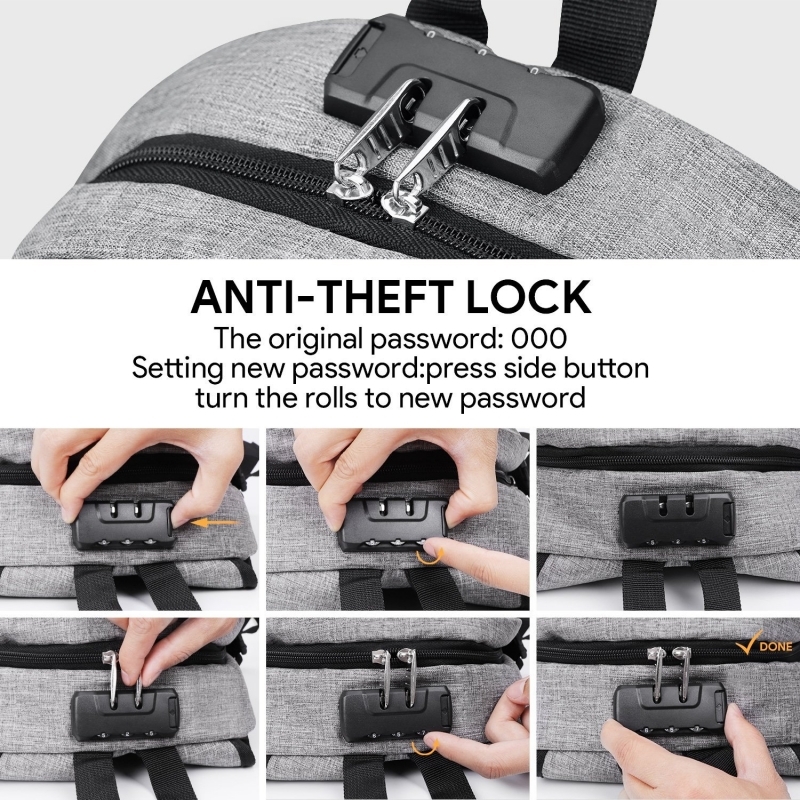 This backpack diversely comes with a combination lock to protect your staff. 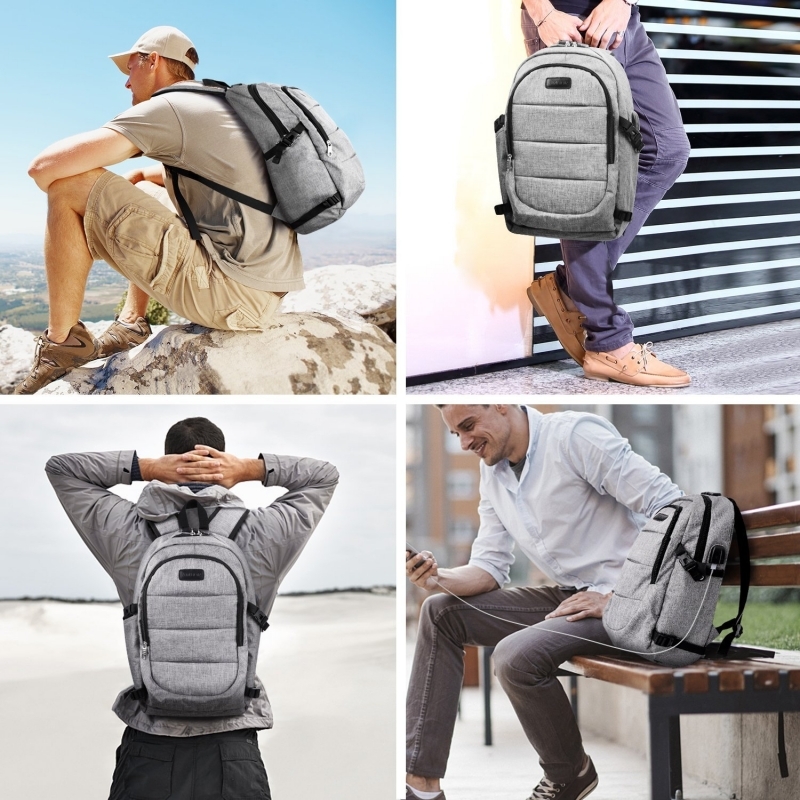 The backpack feels comfortable on your back because, it is with two "S" curve padded shoulder straps and the shoulder belt is made of honeycomb breathable material which prevent you from sweating. And no matter how heavy the backpack gets it is easy to carry around because, it is design to ensure dispersion of gravity of the backpack. 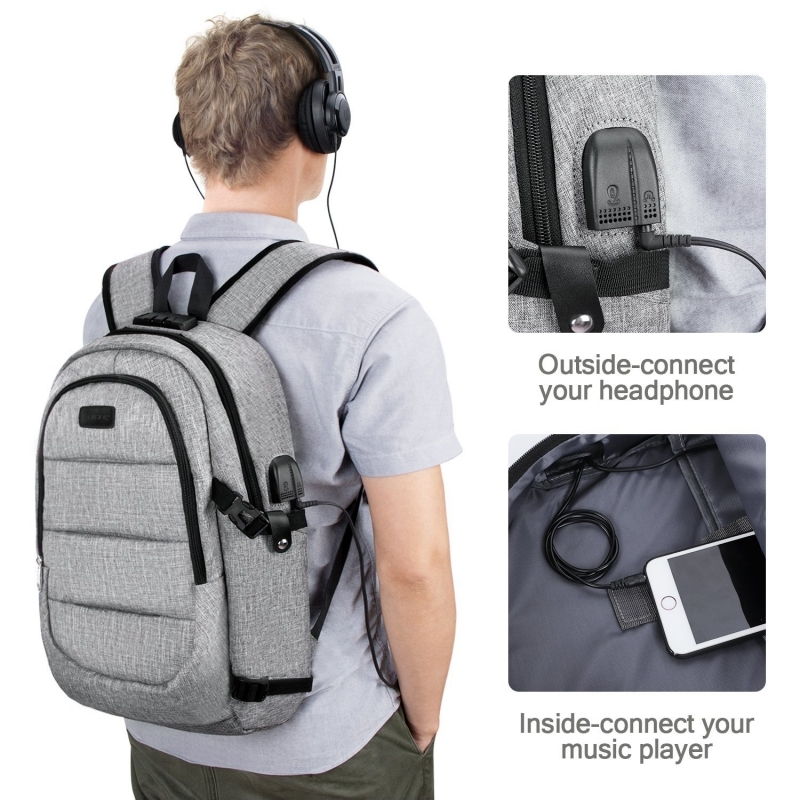 This is what makes this backpack smart. It has a built-in USB cable and headphone jack. The built-in USB can be connected to a power and the outlet that comes out of the back can be used to charge your phone. 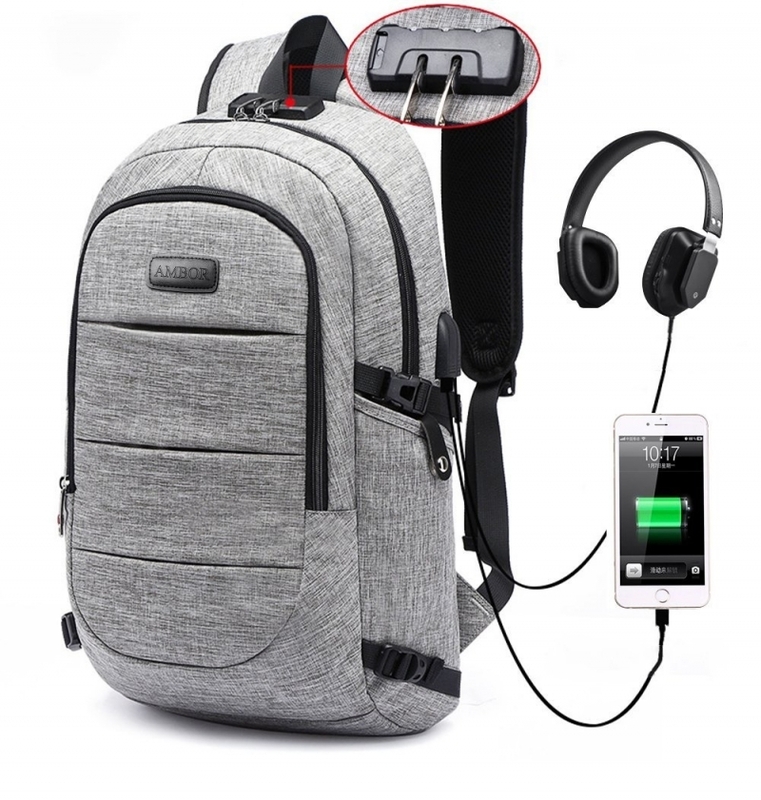 With the headphone jack you can also connect your headphone to the outlet while your phone is connected to the other pin inside the backpack. This way you can listen to your favorite playlist on the go. The built-in strong combination lock has a default code of 000 and it is very easy to reset. First you have to put in the original code which is 000 and then press the side button and turn the roll to set a new password.